I am so excited about the newest creation to be listed in my shop. After a lot of time and energy, my new hangers are ready to hit the streets! These hangers are not like the rest. 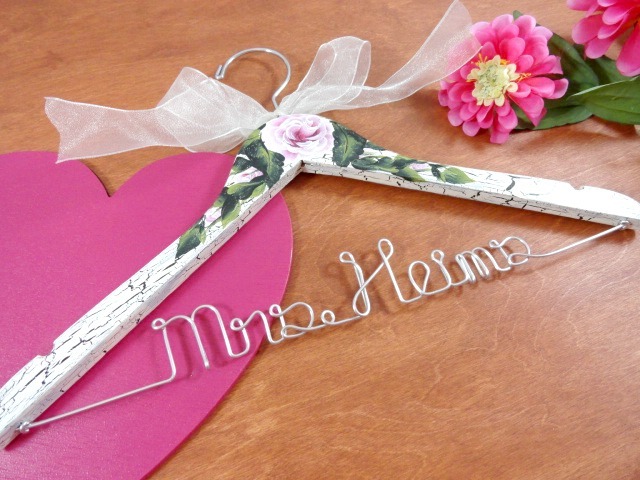 They are entirely handmade with love from start to finish, except for the metal hook. 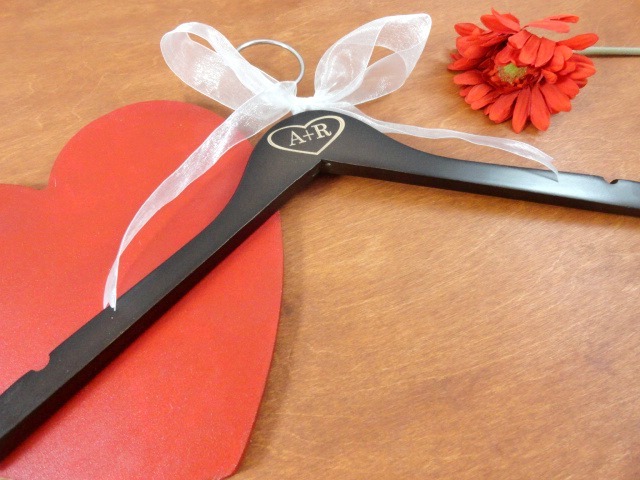 The new hangers have been carefully designed to offer you best experience on your wedding day. They are strong and able to hold an average wedding dress. They can be plain or personalized to fit your needs. 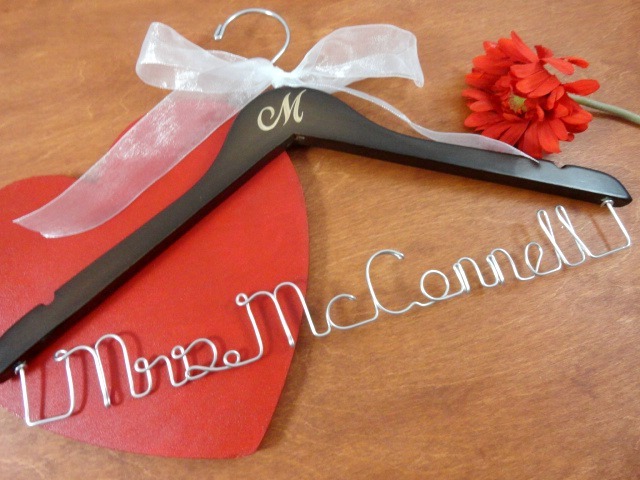 These hangers also can be purchased for you to add your very own personalized wire to them. We will even drill the holes. Just let us know when you make your purchase. Those hangers are just beautiful. Such a great idea for the bride! She can hang her dress up on her wedding day and take photos with it. Very nice! !